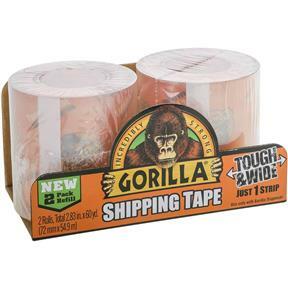 Gorilla Shipping Tape is thicker, tougher and wider. At 3" wide and 3.4 mil. 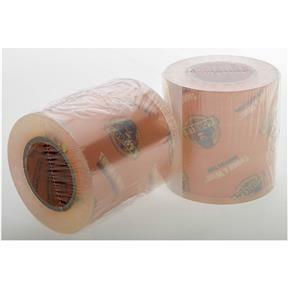 thick, this smooth, ultra thick tape is easy to cut and apply, and holds for as long as needed. Perfect for shipping, moving and storage and crystal clear for protecting box labels. Easy to cut, not to mention it's water and temperature resistant. You never have to worry when you've got the strength of a Gorilla product! This is for two of the 30' rolls, for use with the T27133 dispenser.